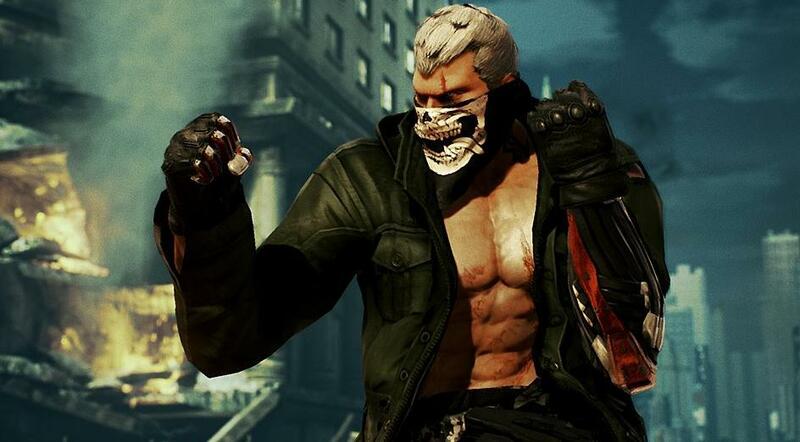 Bryan is renown for his amazing blend of keepout and rushdown, and Tekken 7 is no different. He has plenty of tools to keep his opponent at range with ranged CH launchers, backsway evasive moves if they approach recklessly and a safe mid launcher that low crushes with quick recovery. He also has a mid CH launcher with huge range and + frames if he needs to put himself at the opponent’s face. Once he is in there, he can work his opponent down with hard hitting lows, a fast CH mid launcher that’s neutral on block, powerful jab strings, hitconfirmable strings and so on. His offense is not only damaging but also relatively safe. Moreover, he has some of the best spacing tools the game has to offer. There is a steep execution curve to Bryan if you want to get into the really silly stuff available to him, such as the infamous "taunt jet upper” which is forcing your opponent to eat an unblockable taunt into a guaranteed launcher followup. This is extremely hard to pull off but it’s very practical to be able to do consistently. A noticeable flaw that Bryan has is that he is very weak to his left so the opponent’s right, but he has strong hitting homing moves to cover this. One of the best space control. i14 launcher standing (standard is i15). Damaging and relatively safe offense. Weak tracking to his left. Not much going for huge + frames on hit. Weak standing punishing until i14.